I’m that kind of lady who builds a petting zoo in her own home…whose house is not a home unless there’s fur and cuddles in every nook and cranny. And we had such a house. Had. 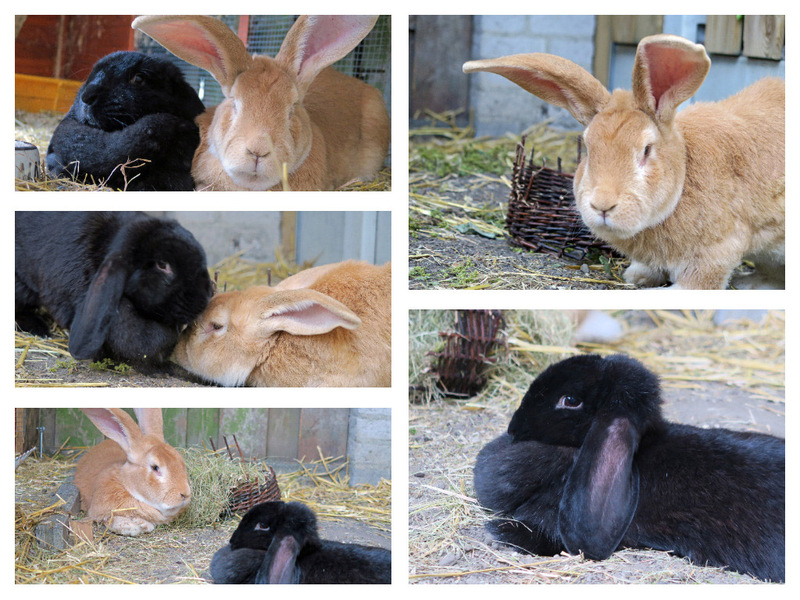 Because after we lost two of our beloved pets last spring, last week our two wonderful rabbits died. It happened all so fast and so suddenly. We found Plum after she’d already passed away last Tuesday morning. She looked so calm that we thought her heart had just stopped beating while she slept. She hadn’t shown any signs of not being well when we’d closed the cage off for the night before. We kept an extra eye on Pear, though, to see if he was allright. If he wasn’t too lonely and if there wasn’t some disease lurking under his skin. But he seemed surprisingly fine, happy and cuddly. We were already preparing to get him a new mate. But then last Saturday morning he wouldn’t eat his beloved morning pear. He turned away, which made us realise something was wrong. I spent much of the day with him, seeing him sliding into being sick more and more. In the evening we took him to the vet who couldn’t find anything. He was a bit cold. So if we kept him indoors for a bit, the vet said, he might get well again. An hour after we’d tucked him into his warm and comfy nursing cage, we witnessed a most awful scene of a life being taken by an excrutiatingly violent virus. I never knew death could come so fast and remorselessly. All I could do, was soothe him as much as I could under the circumstances and shield the horrible sight from the children, who – alarmed by his cry – had also jumped up to come see what was going on. Pear died in my arms within seconds. I felt life flowing from him while his body still moved. And then the unforgiving silence…and many, many tears.